Cricket is a sport that barely requires an introduction. Being an Indian, it is the one sport that we have constantly heard about while growing up. We all have fond memories of making teams among our friends and playing cricket on the streets. The whole family would gather around the T.V. when the Indian team would be playing. Everything from our favorite batsman hitting a six, to the anticipation of the last overs, made the whole cricket watching experience enjoyable. It is a major sport of our country, with the cricketers being treated as no less than celebrities. Every kid could name most if not all of the top 11 players of the cricket team. It is phenomenon that has swept the country since it was first introduced. India has produced many legends in the game of cricket, considered as among the international bests and greatest. England was the birthplace of the sport of cricket. The exact year or date of its inception has yet to be documented. It is speculated that the first reference to the sport of cricket can be traced back to 13th where a document refers to an incident where a game of ‘cricket’ was played. It was earlier observed that cricket was initially a game played only by children. Then reported adults started playing it as it seemed pretty interesting and exciting. The earliest of cricket matches was played between parishes in a village and teams of unknown number of players. A newspaper report from the 1600’s, tells of a cricket game of high significance and having 11 players on each side. This is one of the oldest documented instances of a high profile game in cricket history. This game universally consists of two teams that comprise of 11 members each who play the field. A toss is carried out at the start of the match, to determine which team gets to make the choice between batting and fielding. A normal match consists of 13 players present on the field. 11 players from the bowling side and 2 players from the batting side. Substitutes are also present who are used when a player is injured or cannot play. But the limitations are that a substitute cannot bowl, act as captain or Bat. He can only hold the role of a fieldsman. A size of a field varies with the location and the size of the stadium. There are as such no fixed dimensions for the size and shape of the field but its diameter usually varies between 450 feet (137 m) and 500 feet (150 m). 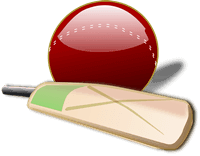 Cricket is one of the few major sports that do not require its field to be of a constant specified size or predetermined shape. One thing that is mandatory to be maintained is the pitch, rectangular patch in the middle of the cricket field where the batman and bowler interact. It is predetermined the wickets, a pair of 3 wooden stumps will wooden bails balanced on top of them, be placed 22 yards apart from each other. The Batsman stands on one end and the bowler and the umpire on the other. We bleed blue! Is a common slogan every Indian knows about? It represents the amount of respect, dedication and passion we have for the sport of cricket. Great players like, Sachin Tendulkar, Sourav Ganguly, Mahindra Singh Dhoni, Virat Kholi are household names that Indians will not forget for a long, long time. There people so passionate about the game, that never miss their beloved country’s game, even if it means they have to fly abroad for watching it. We also are very defensive about our cricketers, which lead to disputes and arguments with those who don’t watch cricket. But the love for the game takes a wrong turn, when fans get unnecessarily heated up over a loss, for example, when the cricketer Yuvraj Singh failed to perform well in a world cup match, which inadvertently lead India losing the match, frenzied fans took to shouting slogans and throwing rocks at the cricketer’s house. This was a wrong and shameful act from cricket fans, and greatly shunned by people all over the country. Despite how our team performs, or if we win or lose, every Indian is proud of the passion we have for this game. Cricket is my favourite game and Sachin Tendulkar is my ideal star. Though I like to play badminton, table tennis, and volleyball too. But they are all secondary for me. Cricket started first in England. Later this game spread too many other countries of the world, including India, Pakistan, Australia, New Zealand, South Africa, Kenya and Bangladesh. In a cricket team, there are eleven players. The team has a captain and a vice-captain and a vice-captain. There are two kinds of cricket matches- a test match and a one-day match. In a one day match, each team plays fifty overs. Each over has six balls and bowler can bowl a maximum of ten overs. The captain, who wins the toss, decides whether his team will bowl first to bat. Test matches are played for five days. In a test match, both team as; have to play two innings to get the result. But five days are not enough to play two innings. So, most of the test matches end in a draw. Last Saturday, our school cricket team played a one-day match against the team of Holy cross School. I was member of my school team. Our captain, Mr. Rohit, won the toss and decided to bat first. We made a big score 250 runs. The team Holy cross was all out at the score of 183 runs. We won the match by 67 runs with a huge margin. Our captain, who is best bowler of our team, bowled out four players and was declared the Man of the Match. The game of cricket is really exciting and fascinating. It keeps the spectators spell-bound. Those who cannot make it to the stadium enjoy the game on their television set. I wish I play in an international match of cricket from India one day, or the other.